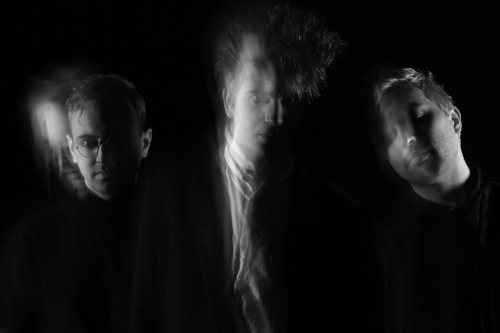 Austin-based power trio Grivo is back with more massive tones and downtempo pop on their newest track "Cave". This marks the third single from their ominously trudging debut full length Elude out November 16, 2018 on 12" black vinyl, cassette and digital download. Following the heavy dynamics of "Burnout" and "C.A." 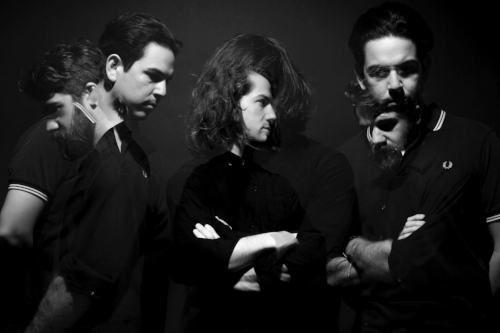 the vocals and guitar leads on "Cave" merge and form a unified voice, often singing into and out of one another to in slow, methodical hooks. This high level of musicianship & songwriting combined with warm tube amplifiers is likely to lure you into the addictive malaise of Grivo. Enjoy! Click HERE to order your copy of Elude out November 16, 2018 on 12" black vinyl, cassette and digital download from Holodeck Records. 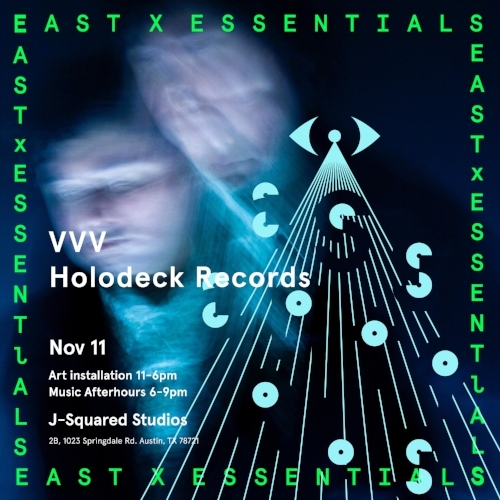 Holodeck Records and Badhouse Collective proudly present an evening of innovative art and music at Kinda Tropical as part of EAST Austin Studio Tour 2018 on Saturday, November 10, 2018. 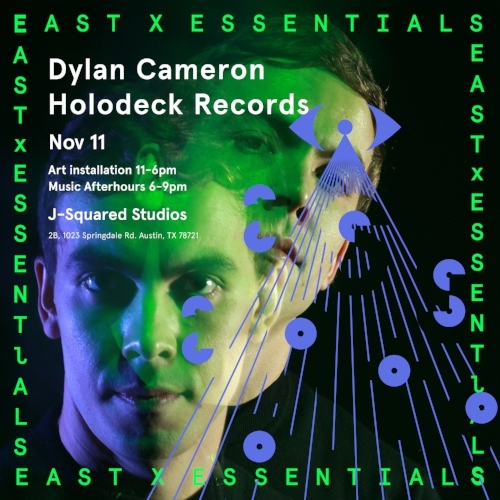 From 11am to 6pm the outdoor patio will host our special pop-up gallery featuring the works from artists Nicolas Nadeau, Leah Haney, Nathan Misutka and Sean Graham as well as merch tables and music from Holodeck DJ's. At 7pm Kinda Tropical becomes the venue for the Single Lash album release party (debut LP Providence out October 26, 2018 on Holodeck), with live performances by Single Lash (lead by featured painter Nicolas Nadeau) with special guests With Great Care, dottie and DJ Troller as well as performance art from Tara Bhattacharya-Reed and Sean Ripple. Don’t miss this one of a kind multi-media event that showcases some of the most compelling driving forces behind contemporary Austin culture. 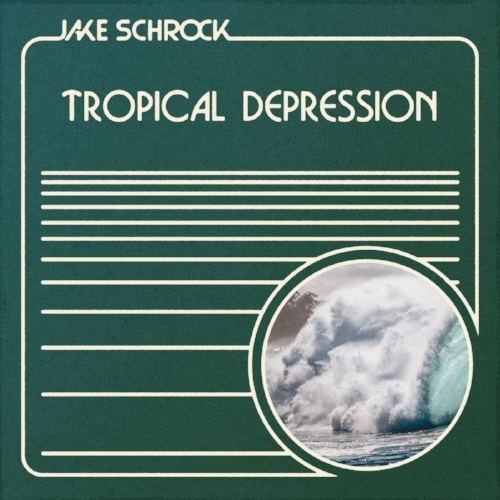 Dallas-based electronic composer Jake Schrock introduced us to his smooth and refreshing style with the debut full length Tropical Depression that came out July 27, 2018 on cassette and digital download. Schrock's rich, timeless aesthetic and sound design was warmly received by both critics and fans as this highly anticipated album sold out fast. Now, back by popular demand, this modern classic is available once more! "...driving synth bliss, unraveling into an analogue frenzy of smooth rhythms, big synth leads, and warm pads that call Tangerine Dream, Cluster, and fellow close friends and former classmates S U R V I V E to mind"
"Jake Schrock makes music that feels breezy and calm, but always with a sense of unease just under the surface. Vintage synths and drum machines click, hiss, and breathe like ancient devices discussing the world’s end in a language we can’t understand." Click HERE to order your copy of Tropical Depression, back in stock on cassette and digital download from Holodeck Records. 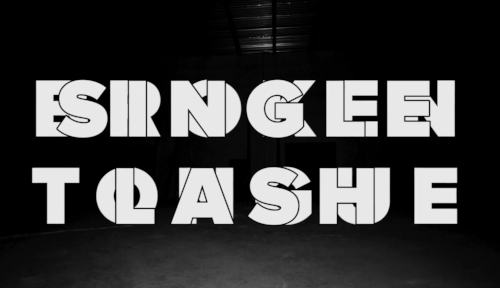 Single Lash Debut LP OUT TODAY! The debut LP from Austin’s preeminent shoegaze ensemble Single Lash is OUT TODAY - October 26, 2018. Providence is a pursuit of self-examination through heavy walls of effects drenched guitars and synthesizers backing vocalist Nicolas Nadeau’s dejected vibrato and woefully honest song writing. Single Lash delivers introspectively satiating songs that emote the existential struggles of heartache and loneliness through layers of feedback draped across a driving rhythm section. The underlying confession throughout the album’s eight tracks eloquently expresses the pain of regret with poetic and humble exposition. Like many great songwriters and performers who came before, Nadeau has ingeniously dialed into the tribulations of the human condition, captivating audiences with a seductive embrace while offering an engaging and cathartic release. Click HERE to order your copy of Providence - OUT TODAY (October 26, 2018) on 180 gram 12" black vinyl, cassette and digital download from Holodeck Records. New Future Museums OUT TODAY! Austin based experimental luminary Future Museums journeys further inward on their new album Rosewater Ceremony Part II: Guardian of Solitude out today October 19, 2018. 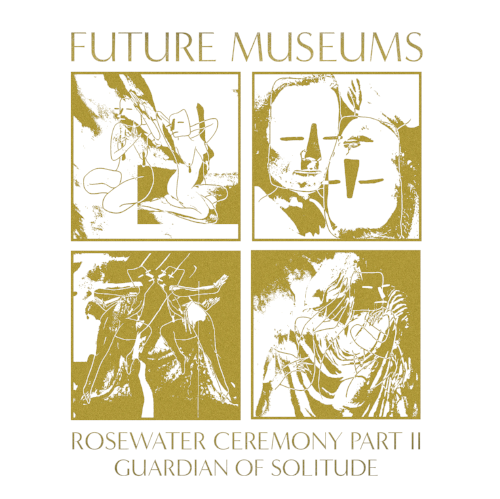 Future Museums is the long running project of multi-instrumentalist Neil Lord (member of Thousand Foot Whale Claw and Single Lash), and Rosewater Ceremony Part II: Guardian of Solitude is the reflective sequel to their euphoric Holodeck debut Rosewater Ceremony from early 2018. Guardian of Solitude is Future Museums' persuit to re-connect with their inner muse while accepting the ever-changing external landscape. Lord continues to advance and refine their approach to composition and arrangement while savoring the rich sonic sphere they have lovingly cultivated. Guardian of Solitude has successfully unfurled the dynamic potential of the evolving form of art that is Future Museums. Click HERE to order your copy of Rosewater Ceremony Pt.II: Guardian of Solitude - OUT TODAY (October 19, 2018) on cassette and digital download from Holodeck Records. New Samantha Glass Album is OUT NOW! OUT NOW - New full length Nine Memories Between Impression & Imprint is Samantha Glass’ culminating effort to define themself thus far. At times delicately wistful and intensely personal, Glass’ emotional tenor is matched by the ingenuity and creativity given to the recording process. 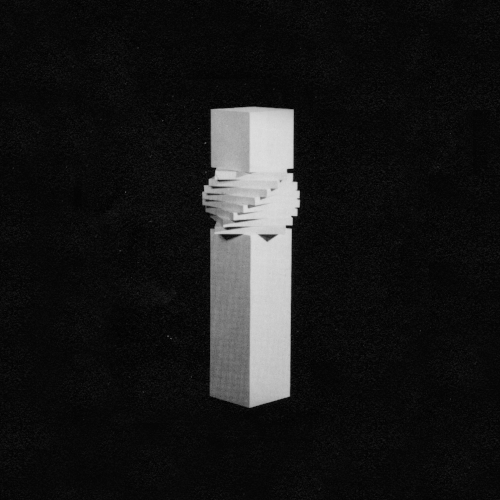 Self produced at home, this album embraces experimentation as an elemental part of the writing process. Underwater contact mic recordings share a place alongside warm analog synthesizers as Glass consistently finds ways to incorporate fresh sounds with unorthodox methods of composition. The duality of male to female, spoken to sung and atonal to melodic echoes throughout the albums eight tracks, allowing for satisfying repeat listens and personal connections that go beyond the obvious aesthetics. Nine Memories Between Impression & Imprint surpasses the expectations of long-time fans and recruits the faith of new audiences as Glass reverently embodies an enticing blend of outsider art. Click HERE to order your copy of Nine Memories Between Impression & Imprint out today (October 12, 2018) on 12" black vinyl, cassette and digital download from Holodeck Records. Founded in 2012, Neil Lord has an impressive catalog of wide ranging solo and collaborative albums under the moniker Future Museums. Lord recorded Rosewater Ceremony Part II: Guardian of Solitude (out October 19, 2018) by himself in 2017 immediately following Rosewater Ceremony (released Feb. 2018) using the same set of gear in his home studio. On this round of inner explorations and mental projections, Lord expands his emotional palette beyond the ubiquitous bliss of the first Rosewater Ceremony to include a dimension of empathetic consciousness. Gently pulsing percussion and bass sequences materialize into tastefully reserved rhythm sections, guiding Lord’s solemn guitar leads through the vast swells of atmospheric strings and shimmering trails of cosmic dust. 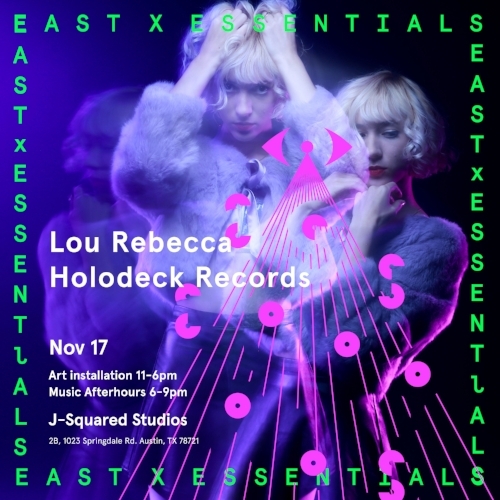 Future Museums plunges deep into electronics for the Rosewater sessions, embracing drum machine, sampler and analog synthesizer as the primary voice. Future Museums has always forged a uniquely trance-inducing realm of sound manipulation out of a remarkable mix of intuition and technique, and now Lord has expanded his vocabulary both emotionally and tonally while continuing to preserve his essential center. Click HERE to order your copy of Rosewater Ceremony Pt.II: Guardian of Solitude - out October 19, 2018 on cassette and digital download from Holodeck Records. Single Lash's Nic Nadeau developed his aesthetic for music, fashion and art in early adolescence, which left him at odds with the traditional surroundings of his childhood in suburban San Antonio. The title of Single Lash's debut LP Providence (out October 26, 2018) is a reference to his escape to art college in Rhode Island where he set out to craft his talent for painting and visual art. Nadeau didn't anticipate the intense gravitational allure of the local noise and experimental music scenes which quickly inspired him to start playing guitar and writing songs. Nadeau naturally evolved a texture based approach to guitar, echoing the ubiquitous effects of the post-punk and industrial bands that first piqued his interest in music. Nadeau’s lyrics became the therapeutic outlet to navigate his lifelong feelings of isolation, adopting the moniker Single Lash from the outset. After releasing several solo demo tapes and relocating to Austin, Nadeau expanded Single Lash into a band, recruiting talented multi-instrumentalists such as Neil Lord of Thousand Foot Whale Claw and Future Museums. Single Lash is now fully orchestrated, and Providence is their breakout effort to establish themselves as an important new voice in underground music. Click HERE to order your copy of Providence - out October 26, 2018 on 12" black vinyl, cassette and digital download from Holodeck Records.